Well there's a mouthful of a title! 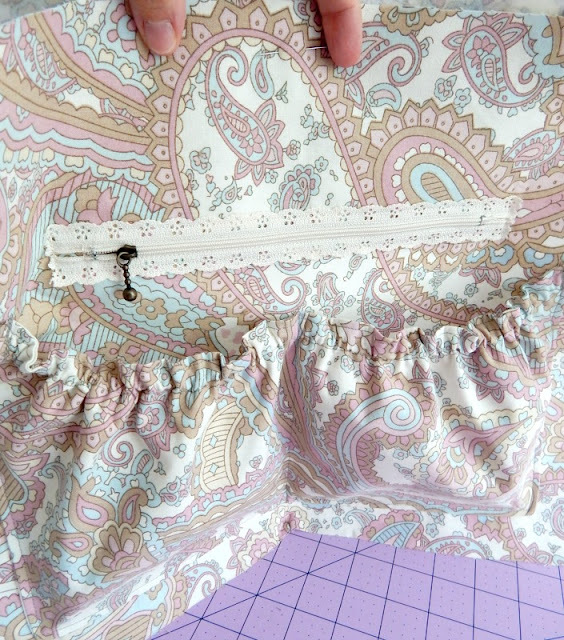 As part of the Nappy bag sew along I'm going to show you today how to use a decorative zip for your zipped pocket. You could use this technique on any zipped bag pocket though! You'll be surprised how easy it is! For more detailed explanations, please refer to my zipped pocket tutorial. You can buy lacy zips from many places, in the UK, Bobbin Girl (my favourite shop) stocks them. First thing you need to do is measure the zip from the metal stopper to the top of the teeth. Mine measured 7 3/4". 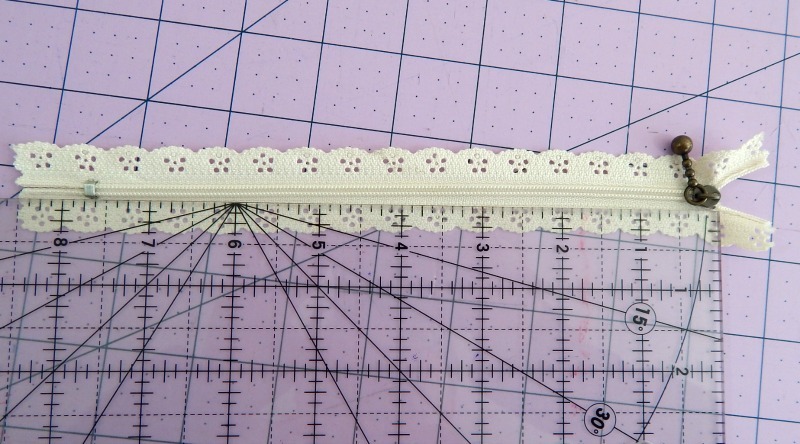 You'll need to make the zipped pocket box this length x 3/8". Prepare your zipped pocket as you normally would, but making the box the length of your teeth. If your box is going to be longer than your pocket piece I'd recommend choosing a shorter zip. I like at least an inch clear on either side of the box. 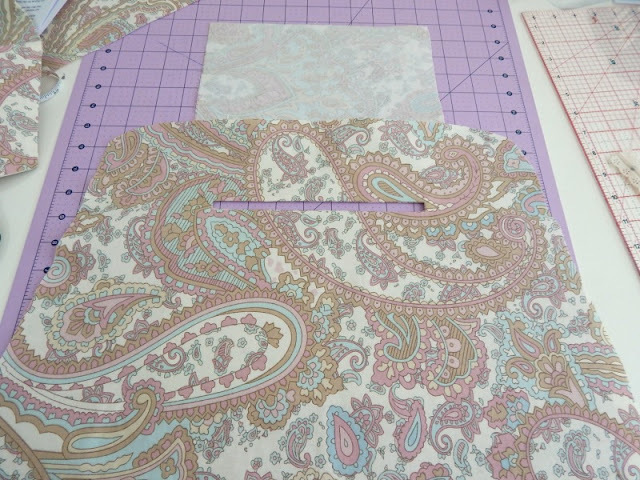 Push the pocket piece to the back of your bag panel and press well. This is where we change things up a bit. Instead of glue basting the zip behind the pocket, you'll be doing it on top of the main bag panel. You should see the wrong side of the zip from the back of the bag panel. Make sure the teeth are centred. Now sew along the zip. I like to use two lots of stitching. One about 1/8" from the teeth all the way around the 4 sides of the zip. 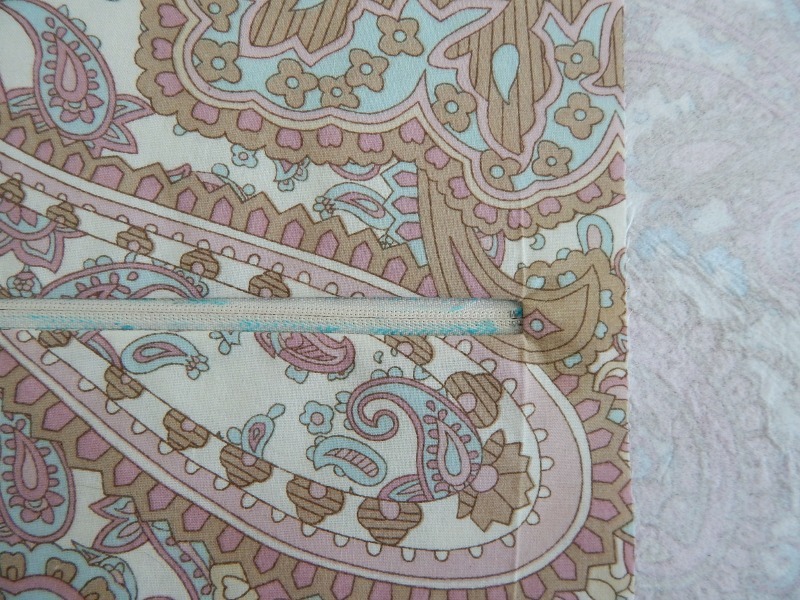 Then a second row halfway across the width of the zip (As pictured), but just along the sides. 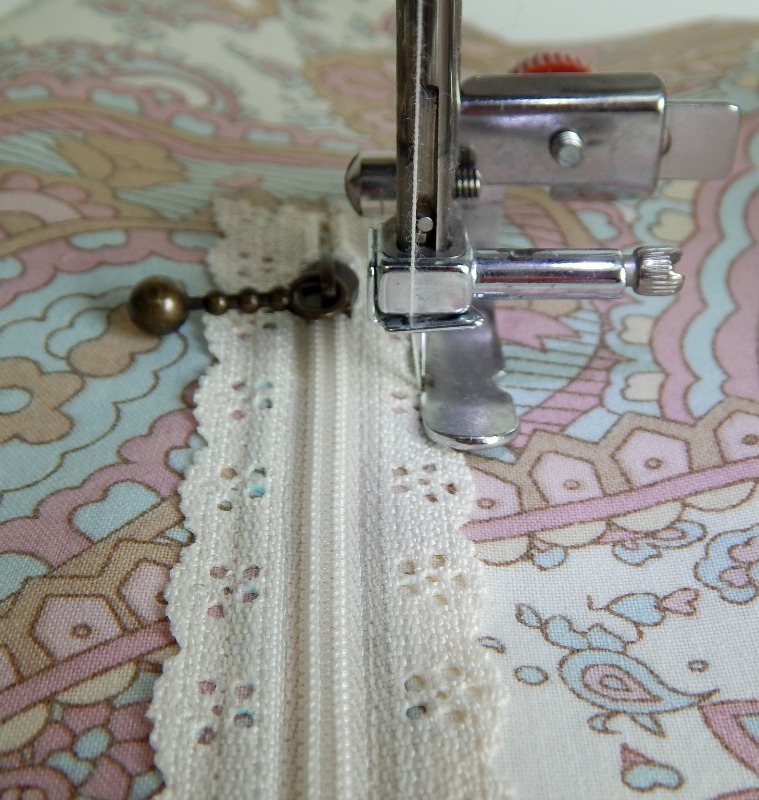 I start this second line of stitching where the zip begins and finish at the metal stopper. On the back, fold the pocket piece down to meet the bottom raw edge and then turn over. 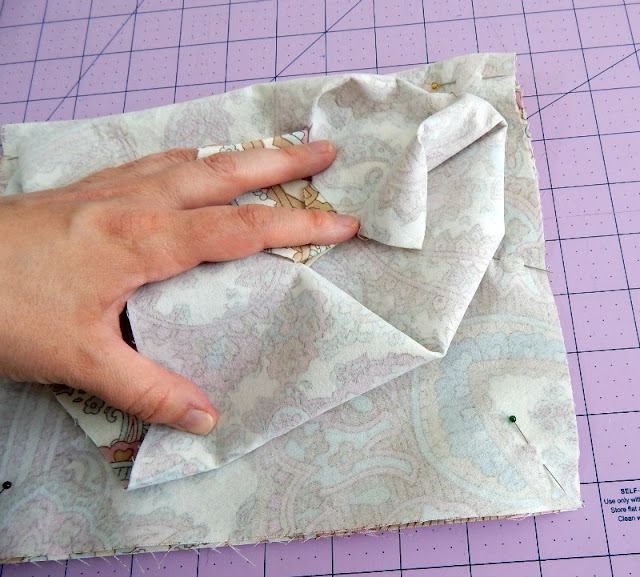 Now from the front, fold the bag panel in so that you can get to the sides of the pocket piece and sew around the sides and bottom to complete your pocket. 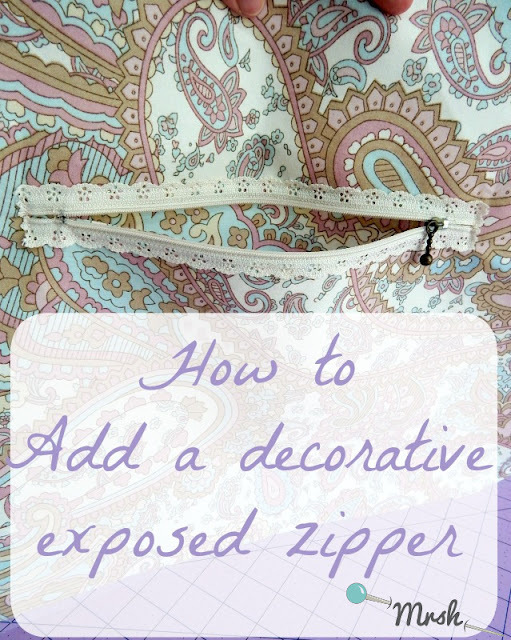 If you've ever sewn a zipped pocket, you will definitely not have any troubles with this. If you haven't, go check my zipped pocket tutorial first, and then give this a go! It makes for an attractive pocket!